The saying “Change is inevitable” has never rung truer for companies selling products that must keep up with these ever-changing times and consumer preferences. 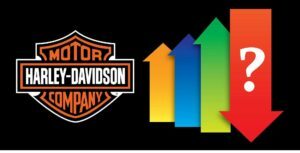 One company struggling to meet new consumer preferences is a favorite here at FLBikers.com: Harley-Davidson. In recent reports, a shadow of gloomy attention has been cast on the company due to decreasing sales and safety recalls. Harley-Davidson’s most recent spring Quarterly Earnings Report revealed a decrease in domestic sales by 9%. For a quarter that typically yields high sales numbers due to blow-out Spring Sales events, these numbers are alarming. Even more worrisome, this is the year H-D introduced the new line of the Milwaukee-Eight Engines – a launching that generally produces increased sales when Harley-owners upgrade their current HOG rides. This past June, Harley-Davidson recalled 57,000 motorcycles made between July 2016 and May 2017 due to a faulty oil-line coming loose, which can result in oil leaks along the rear tire. While this is a voluntary recall to keep Bikers safe and not a mandatory one, anyone with any of these models, that include the 2017 Electra Glide Ultra Classic and the Road King, can have their bike inspected and fixed at no charge at any H-D dealership. Harley is working hard to teach the new generation about the thrilling sport of motorcycle riding. With rumors of an electrical engine being developed, the future is sure to look much brighter for Harley-Davidson.